Augulis Law Firm is pleased to provide advanced estate planning and elder law assistance to all our friends and neighbors in Union County, New Jersey. Our team is committed to helping each client enjoy the benefits of sound estate planning that can protect assets, deal with incapacity concerns, and better prepare for future Medicaid eligibility and nursing home funding issues. We not help you to secure assets now, but can assist you in growing them over time to ensure that your end-of-life plans can be achieved. If you need to guard against incapacity, plan for estate asset distribution after death, or deal with any other issues that could impact the legacy you leave behind for loved ones, then you need to rely on the services that the Augulis Law Firm can provide. Union County, New Jersey was the last county formed in the state of New Jersey, after being created in 1857 from land that was formerly part of Essex County. It is a thoroughly urban area, with a population of 552,939 – more than 30,000 more than recorded in 2000. It is the eighth-richest county in the state, and ranks just outside the top 100 in per capita income for the United States. Union County is served by many transportation modes, including highways, rail services, ports, and airports. Notable roadways that pass through the county include the famed New Jersey Turnpike, Garden State Parkway, and US Routes 22, 24, 27, and more. Union County is also included in the New York Metropolitan Area, and ranks fifteenth on the list of the most densely-populated counties in the country. The county’s median household income of $64,593 is significantly above its 1999 median of $55,339 – though it ranks somewhat lower than the statewide median of just over $70,000 a year. There are many important industries serving the county, with health care and education providing about 30% of all economic activity. Retail, manufacturing, insurance, and finance combine for an additional 22% of the economic pie. Sales and management jobs provide 22% of all employment in the area, with construction, transportation, and office jobs each providing 8% of employment. 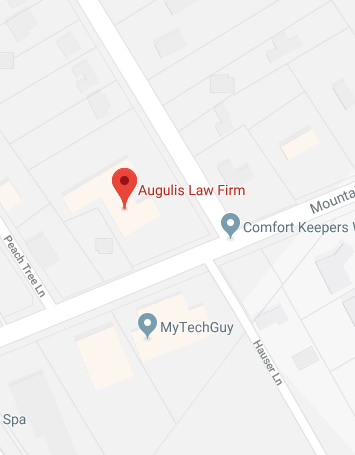 The county’s wealth and opportunities for residents to earn wealth means that those residents need to protect their estate assets with the sound planning that Augulis Law Firm can provide. Seniors are generally committed to living independently in their own homes for as long as they can. With advancing age, however, many eventually discover that they require assistance with many aspects of daily life. Some seek help from family or friends. Others hire in-home caregivers to assist them with many tasks. For many, however, the time eventually comes when their health needs are so great that they require the ongoing care that only a skilled nursing home facility can provide. Caring.com provides a list of nursing homes in the county. It is vitally important that seniors make the right choices when it comes to selecting a nursing home and funding options. The cost of nursing home care continues to rise, and it is essential that seniors plan ahead to ensure that they can cover the cost of that care when they need long-term assisted living. The experts at Augulis Law Firm can assist seniors and their loved ones as they try to evaluate their nursing home choices. We can also help to ensure that your estate plan has options to help you secure the benefits you need when nursing home costs need to be managed. Anyone thinking about moving into the county will doubtless benefit from learning more about certain demographic factors in the area – specifically, housing and labor information. Some data compiled within the last several years can be beneficial for obtaining more insight. The median value of houses and condos has skyrocketed in the last sixteen years, rising from $185,200 in 2000 to $346,300 in 2013. That’s higher than the New Jersey median value of $307,700. Median contract rent is in keeping with the statewide median, however, and comes in at $1022 per month. For businesses that are considering a move to Union County, the environment offers a well-educated populace. More than 79% of residents over the age of 25 have completed at least a high school education, with 28.5% having finished their bachelor’s degree or even some higher level of education. The unemployment rate for the area was reported to be 6.4% in 2015. The county seat for Union County is in the city of Elizabeth, New Jersey – and that’s where probate matters and guardianship proceedings for the county are handled. The Surrogate Court in Elizabeth can be found on the Second Floor of the Old Annex in Union County Court House, 2 Broad St., Elizabeth, New Jersey. The Surrogate can be contacted between the hours of 8:30 and 4:30, Monday through Friday. You can reach the office by phone by calling (908) 527-4280. Probate court is an important element of life for residents in the county. It is charged with assisting minors and people of all ages who lack the capacity to manage their own affairs or represent their own interests. It also deals with the resolution of estates to ensure that decedents’ assets and interests are preserved. That court can also answer many important questions you may have about probate and guardianship. At Augulis Law Firm, we can assist with those issues too, while also helping to create the estate plans and other strategies you need to protect you and your family from guardianship and probate concerns. The experts at Augulis Law Firm can ensure that you have the assistance you need to secure the estate plan and elder law strategies you need. We can help you protect assets, secure business succession, plan for Medicaid eligibility, and build a legacy for your surviving heirs. To find out more about how we can assist you, contact us online or call (908) 222-8803 today.